Over the years, I have put in my time in waiting rooms. From the usual doctor’s and dentist’s offices that most parents sit in to all the specialist appointments that having five kids with special needs will bring, I have sat in waiting rooms for more combined hours than I can even count. 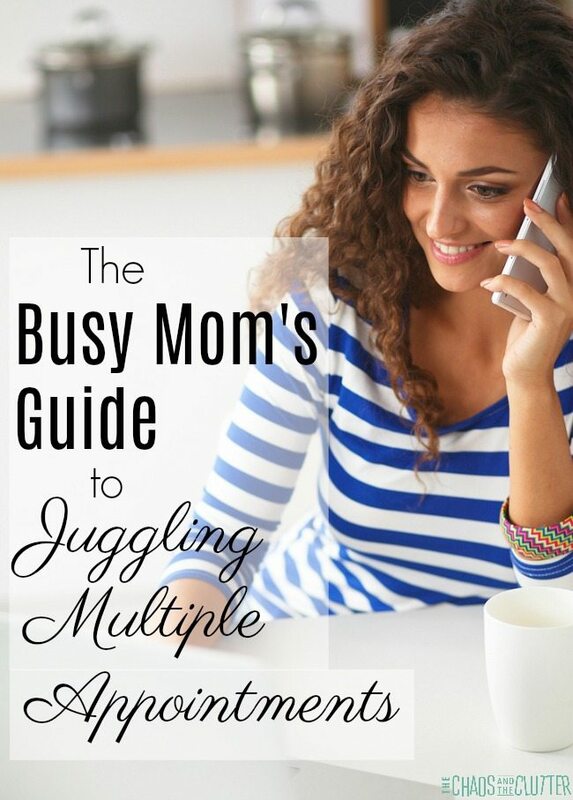 Be sure to read my top ten tips for juggling all those appointments and saving time. Through all those hours, I have learned a few things about ways to pass the time and make the most of the waiting. Many factors determine how long your wait will be and the majority of those are out of your control so it is best to over-prepare rather than be caught needing something you don’t have. An example would be an appointment that you expect to be over well before snack time or lunch time or nap time that runs late. Bring anything you might need: blankets, water, snacks, activities, phone chargers, pens and paper, and any medication for the day just in case. I’ve even had what I thought would just be a simple appointment turn into us being sent to the hospital and staying there for almost a week, so it really is best to be prepared. I bring a variety of busy bags and activities with me. I also keep a small Etch-a-Sketch in my purse at all times. Oftentimes, a waiting room will be equipped with toys and books, especially if it is a practice that specializes in children, but I’m a bit of a germaphobe, particularly when it comes to things in a doctor’s office. I would rather my kids read a book from home or play with toys we brought with us than use what sick kids have been coughing all over. 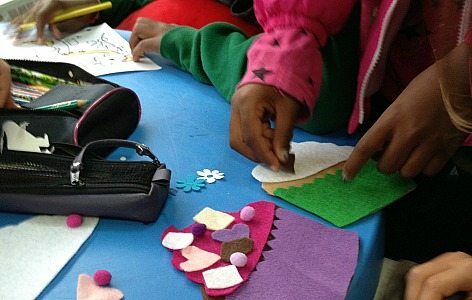 Don’t forget the activities that don’t require any tools like playing I-Spy, Round and Round the Garden, Head and Shoulders, or even doing the Hokey-Pokey! Most of my kids have sensory processing disorder, so I keep fidgets and sensory balls (click here to find out how to make them yourself for pennies each) in my purse. I also keep an arsenal of ideas for meeting their sensory needs in my head and even in a crowded waiting room, I pull them out. 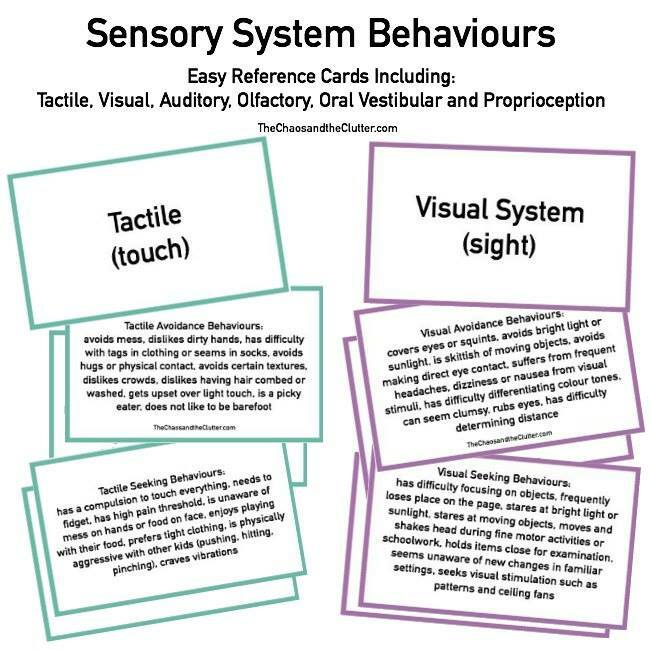 It is so much easier to be on top of their sensory needs than to have them turn into behaviour issues. Nothing makes a waiting room more uncomfortable than when one of your kids is having a tantrum! 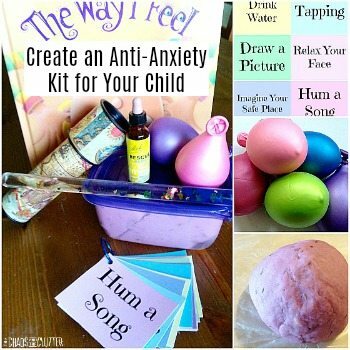 Read how to avoid sensory meltdowns here. This one is actually for you, not for your kids. 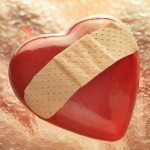 I have found that sometimes particularly when it is at an appointment where one of my kids is receiving a new diagnosis, my brain does not process the information well. I sit there and nod but nothing is actually being remembered. I have learnt over the years that it is crucial that I bring a notebook and write things down at important appointments. A waiting room doesn’t have to be a place to waste time. You can bring cookbooks and plan out your meal plans and grocery list. You can bring your laptop and get caught up on some work. You can go through emails on your phone. You can even sort pictures. You can have your child bring their schoolwork. Waiting rooms are a great place for you to work with them on skills such as reading, spelling and multiplication tables. Waiting areas are also a good place to work on your relationship with your child. If you are there with just one of your kids, take advantage of the time you have alone together. 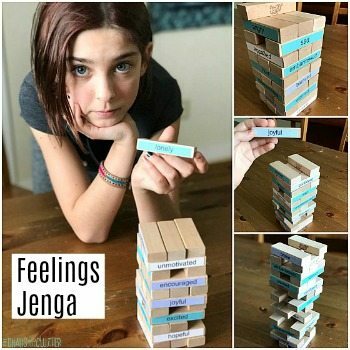 Get to know them a bit more and catch up on what is happening in their life and how they are feeling. 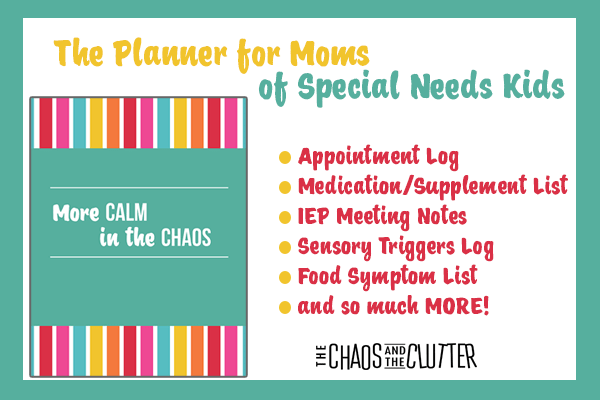 The More Calm in the Chaos Printable Planner for Moms includes forms for all kinds of things pertaining to appointments. 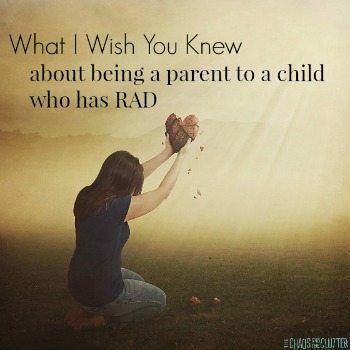 It will make life easier, especially if you are parenting a child with special needs. Always be prepared at those office visits — all too often we get stuck for much longer than we anticipated. I love your list of ideas. I always make sure we have crayons. Sometimes we get stuck waiting in the actually clinic area, and I let the kids draw on the paper covering the exam table. That’s a good idea. I’ll have to remember that one! Where wa this when I was stuck in the mechanic’s waiting room for four hours?! haha I love the idea of busy bags. I need to find time to make some. Ahh, these are such great ideas! We spend a lot of time in waiting rooms too! what a good idea. we have such a time in waiting rooms sitting still and being quiet. we will have to try this.